When you see someone with beautiful skin, do you wonder how they keep their skin looking so radiant and healthy? Was it surgery, good health, their diet or a slathering of some great skincare products? Well, to be honest, it is probably a combination of most of those, with surgery being the least common. You see, great looking skin involves a healthy lifestyle and great skin-care habits enabling you to produce glowing, radiant looking skin. 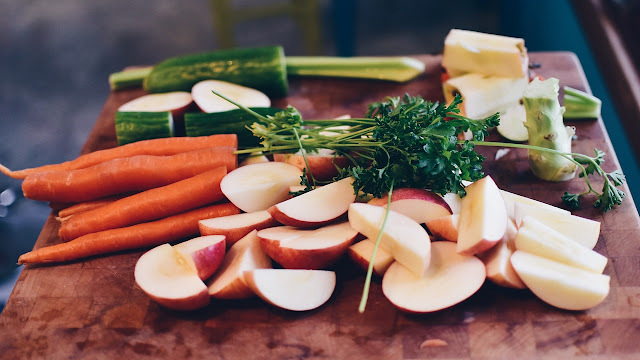 Hence, what you put in your body is equally as important as what you put on it. 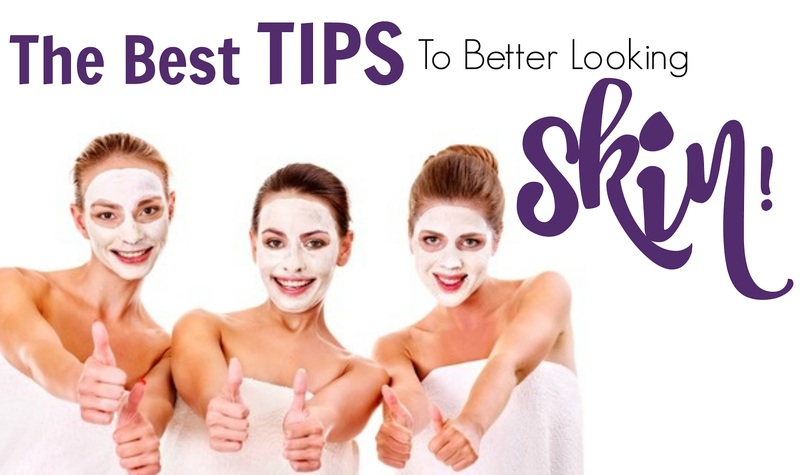 So, if you want the best tips to better looking skin continue reading! While eating some of those prepackage foods may be convenient, they are not always best for your skin. Too much-refined foods, such as sugar, or that with a lot of added salt can drain the body of essential vitamins and minerals. This, in turn, encourages wrinkles and premature aging. Instead, you want to eat foods that are rich in vitamins and essential fatty acids, such as fruits, vegetables, fish, and nuts. Nuts like walnuts are great for the skin and fruits like Papaya are also fantastic! Working out brings more oxygen to your skin cells, leaving you with skin that's nourished and firmer. Exercise also helps to reduce stress. As most of us know, stress shows up in our face, which can potentially aggravate skin conditions and cause premature aging. A recent visit to my dermatologist also confirmed that physical stress could produce more cortisol, a hormone in the body that can break down collagen and elastin, ultimately leading to wrinkles! So, find your zen time! 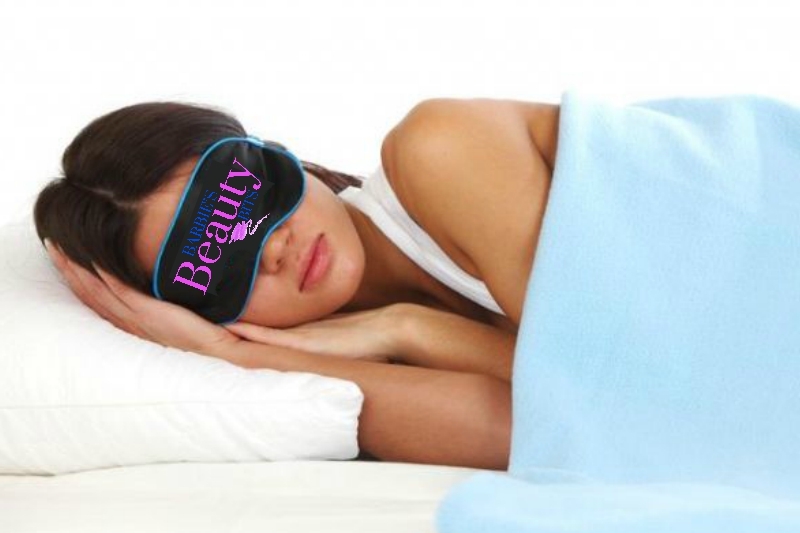 Beauty sleep is real! The goal is to have 6-8 hours of sleep a night as lacking sleep can cause a lot of adverse effects on your skin, like dark circles under the eyes, bags, and that darn stress hormone can get elevated hurting your skin's quality! Oh, and don't forget to take your makeup off before you go to bed as makeup can clog your pores which can lead to irritation and blemishes! The most revolutionary skin-care products today merge nature with science. For example, Michael Todd Beauty, this brand represents a synergy between science and the certified organic plants and fruits. The result is a unique skincare experience that enhances the complexion for years to come without the use of potentially harmful ingredients so common in many other brands. While the packaging might be pretty, what comes on the inside is key! Synthetic fragrances and other harmful ingredients can aggravate the skin and lead to premature aging. 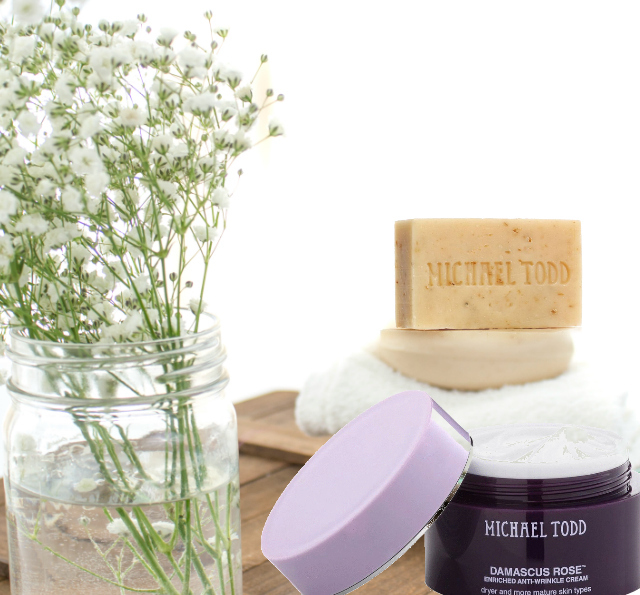 Hence you want to stick with a skin care line that pays attention to the ingredients they add and once again Michael Todd Beauty is great at adding only the best organic ingredients to their skincare products. The fragrances they use are real, no synthetic fragrances or colors are ever added to a Michael Todd Beauty product. Instead, they use natural aromatic extracts scents that are much kinder to the skin. Minerals: Charcoal and Kaolin Clay for their purifying properties. Oils: Refreshing essential oils such as olives, jojoba, neem, seabuckthorn seed and tea tree are also used. … all in which are excellent for the skin! Another key component to a beneficial skincare product line, like Micheal Todd Beauty, is to make sure that there are also anti-aging ingredients added, as simply rubbing a piece of fruit on your face isn't going cut it! The success of Michael Todd Beauty line is that they combine the right blend of organic and natural ingredients and specific minerals, peptides, EGF, DMAE, beneficial acids with other extraordinary anti-aging and skin clarifying ingredients to help promote balance, protect the skin’s youthful look, giving us a healthier more radiant looking complexion. So as you can see, while whipping out your credit card and purchasing some great products may seem significant, you need to realize that a great looking complexion is more than skin and wallet deep! Speaking of wallets, Michael Todd Beauty is having a Thanksgiving sale, with 40% off everything, Click here to start shopping and use code TNX40 during checkout!